Carole Di Tosti, Ph.D. PROFESSIONAL WRITER, EDITOR. I write articles for e-zines and blogs. 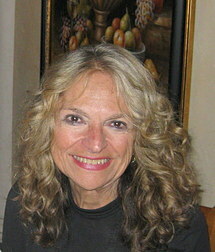 Carole Di Tosti, Ph.D. is a writer, journalist, novelist and poet. Carole Di Tosti, currently writes reviews and articles for Blogcritics. She has published 310 articles on Technorati. Carole Di Tosti administers three blogs: The Fat and the Skinny about cultural views and wellness, A Christian Apologist's Sonnets, and All Along the New York City Skyline a blog reviewing NYC events.. Carole Di Tosti has been referenced in three ethnography books, two by Margo Ely. Carole Di Tosti has written a novel and a non fiction work about the culttural ethos of appearance and beauty. Journalist, essayist, advocacy writer on wellness and health.